As William Shakespeare almost wrote: “If music be the food of love, mashup”. That appears to be the ethos behind Tastebuds, a dating site with a difference – it puts music taste first by working in a little Last.fm magic. If you’re an avid music fan you probably want a partner who shares your favourite bands. 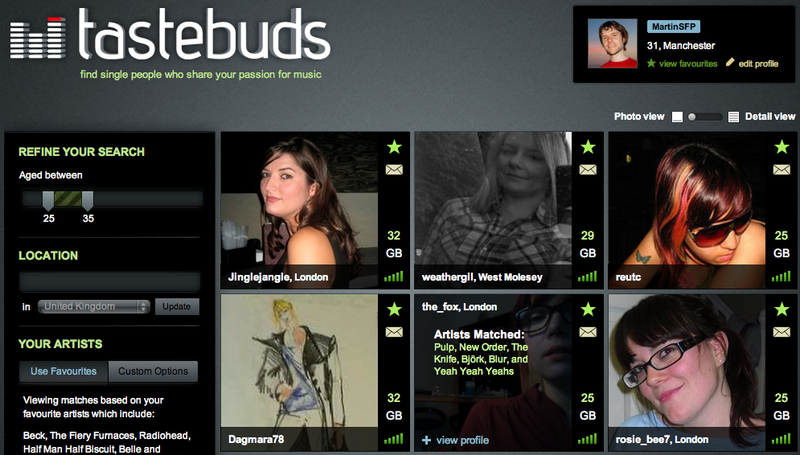 By digging into the Last.fm API, Tastebuds makes finding that person who likes the the same music as you do simple. Just enter your Last.fm username and as long as you’ve scrobbled a decent amount of music, it will find the best matches from the people who have signed up for the site. Simple controls let you choose the age range, location, gender and sexuality of the people you uncover. If you want to get in contact with one of the people it returns you’re meant to sign up for a Tastebuds account. 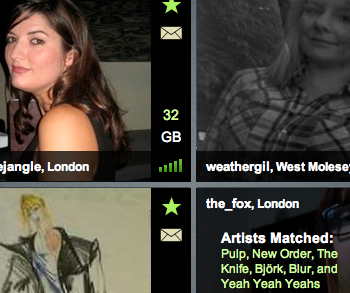 However, it’s easy enough to find their Last.fm profile instead if you’d prefer. If you want to take part yourself, however, you do need an account. Signing up is easy, although as a new service the userbase isn’t very high so don’t expect to be flooded with perfect matches just yet. Built by a two-person UK-based team, Tastebuds is a slick and beautifully simple example of the quality of services that can be built on top of open APIs.